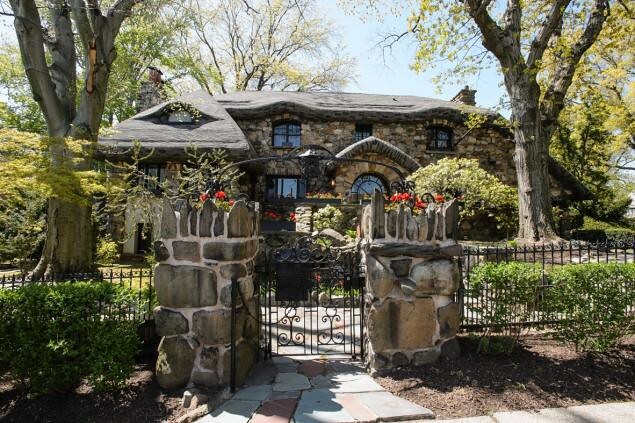 What will $11 mil get me in Brooklyn? 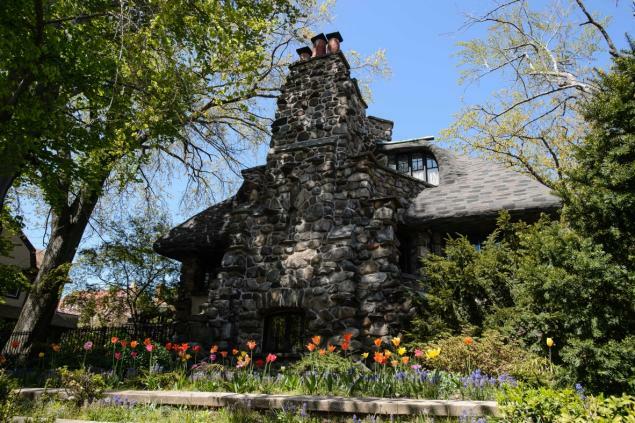 It's a question that probably doesn't get asked very often, but here's an answer ready for it: the locally revered landmark "Gingerbread House" at 8820 Narrows Avenue in Bay Ridge, about a mile south of Brooklyn Row House. Not for nothing but this is a bargain compared to the unanswered 2009 asking price of $12 million. Nevertheless, it's quite a bit more than the "under $1 milliion" that the current owners paid for it in 1985, which should give an indication of property valuations in this neck of Brooklyn over the past 20 years. The house was built in 1917, I'm told originally as a companion home to a much larger house across the street which was razed years ago. It reportedly sits on between 0.46 to 10 acres, depending on what real estate source you reference. 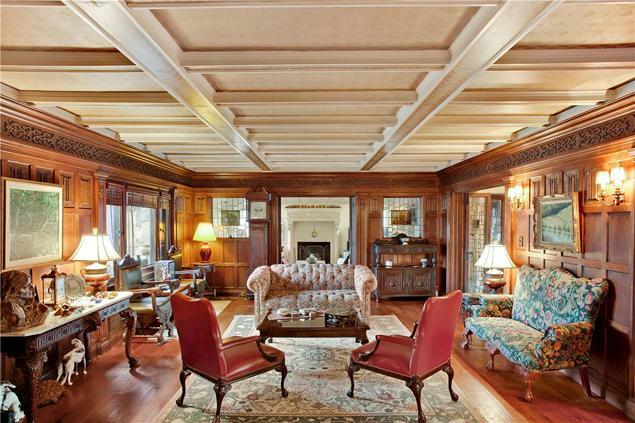 It has six bedrooms and 3.5 baths spread across its 5,743 square feet of interior space. It has its own bowling alley and a two-car garage, alledgedly with turntables for the cars. You enter the garage through a rough-hewn rock archway and the garage contains a turntable for the cars. Not too shabby. The house's style is officially termed "Arts and Crafts" but I'd call it Black Forest Fairy Tale. I'm not saying this is a great deal because I can think of lots better things I'd spend $11 million on, especially as its estimated market value was "only" $5 million back in 2007 and Zillow currently values it under $4 mil. 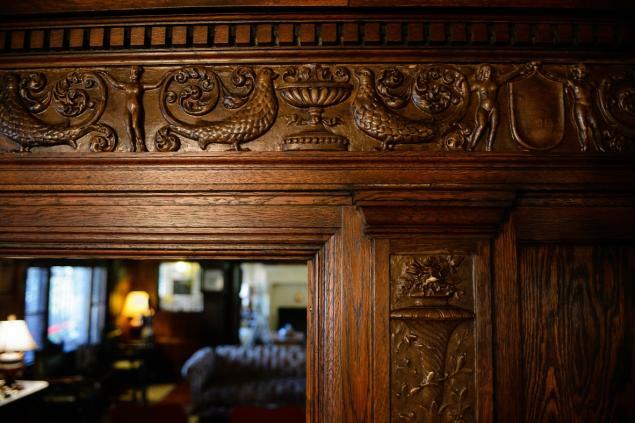 You could buy a much larger and more garishly-appointed modern McMansion for $11 million but you won't get intricate, hand-carved detail like this.